In recent years the construction industry has become increasingly associated with efforts to reduce illegal working and exploitation of unlawful labour in the UK. 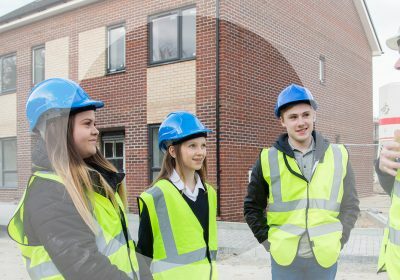 The issue of illegal workers is a difficult one, but it is essential that everyone involved in the construction industry is aware of the risks posed by such workers, the potential exploitation of illegal workers and how we can remedy the problem. Illegal working is undertaken by individuals who are subject to UK immigration control, and have either entered the UK illegally, overstayed their permission to be here, or have permission to be in the UK but are subject to a condition preventing them from working. Illegal working is an urgent issue that requires attention, and employers have a role to play in its prevention. Since 1997, employers have had a duty to prevent illegal working. They have done so by carrying out simple specified document checks on prospective employees to determine if they have a right to work in the UK. An employer can receive a financial penalty of up to £20,000 for each illegal worker employed. If prosecuted, they can now face up to five years in prison. Using illegal labour is not a victimless crime. It can cause health and safety risks for everyone involved with a site, as well as affecting insurance if workers are not who they say they are or with the skills and knowledge they claim to have. Illegal working is linked to wider abuse and exploitation of workers, tax evasion and breach of other workplace regulations. At the worst end of the spectrum, it can involve modern slavery. It also negatively impacts on the wages of lawful workers and allows rogue employers to undercut legitimate businesses. Construction is a particular target because it is an industry with a high demand for labour and where self employment is prevalent. There is currently a skills shortage, exacerbated by the recent recession and the often negative perception of the industry which puts people off pursuing a career in construction. In some cases, employing illegal workers may seem like a short-term fix for pressures on wages and filling the skills shortage, but the potential safety risks far outweigh any perceived benefit. There are other remedies to construction’s challenges; the skills shortage could be addressed by improving the image of the industry, thereby attracting new talent. But the presence of illegal workers undermines efforts to improve the image of construction. Are there processes in place to ensure the subcontractors (and subsequent subcontractors) are conducting right to work checks? 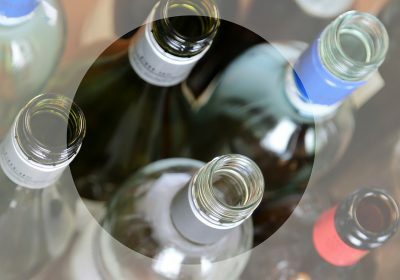 Are physical spot checks conducted to ensure minimum standards of right to work checks are taking place within the supply chain? The Scheme followed the survey with this ‘Spotlight on…’ campaign to raise awareness of illegal working. “Ensuring the legitimacy of the workforce is one of the key challenges facing the construction industry today. The industry must work together to ensure that checks for workers’ legitimacy becomes firmly entrenched within all construction activity across the UK. 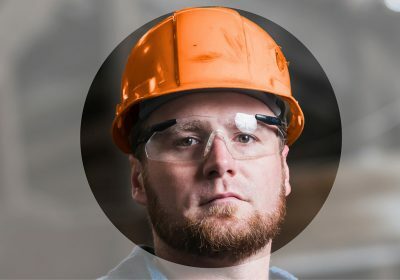 “By challenging sites to explore how they currently assess and monitor the legitimacy of their workforce, the Scheme believes that in the not-so-distant future, all registered sites, companies and suppliers will have robust procedures in place. Illegal working is a key priority for the Government, which recognises the harm caused by illegal labour. The Home Office is committed to ensuring employers meet their statutory duty to prevent illegal working, and conduct the correct right to work checks. This was reinforced by a series of construction site spot checks as part of the Operation Magnify campaign in October 2015. This was a wakeup call to the industry, and the Scheme has since partnered with the Home Office to provide guidance to construction professionals on how to stamp out illegal working. The Government is committed to tackling the economic motivation behind illegal migration, a key driver for which is the ability to work illegally. Employers have an important role in preventing illegal working, and Home Office Immigration Enforcement is committed to engagement and support for construction industry partners who want to ensure compliance. 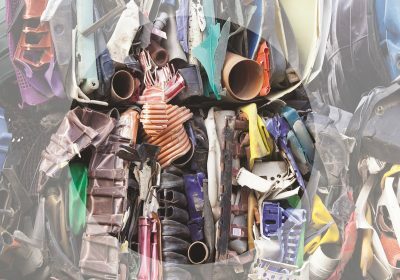 As such, Immigration Enforcement is working with the Considerate Constructors Scheme (CCS) to encourage greater compliance in tackling illegal working across the construction industry. 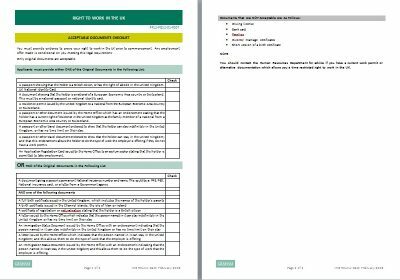 An important part of this successful collaboration has been the introduction of two new questions relating to Right to Work checks in the latest version of the CCS Monitors’ Checklist, launched in January 2017. The Checklist is the key means by which Scheme Monitors assess and score sites, companies and suppliers against the Scheme’s Code of Considerate Practice. The Home Office has provided material to support this campaign, highlighting key facts and legislation around the topic of illegal working. Employers have an important role to play in ensuring that their employees have the right to work in the UK. They do this by undertaking a simple 3 step right to work check. What are the consequences of employing illegal workers? Illegal workers also face having their wages seized, and possible prosecution. It is essential that when hiring a new employee you conduct the correct right to work checks. It is the responsibility of the direct employer – which is often a subcontractor – to undertake these checks, but it is in the interests of the entire supply chain to ensure the legitimacy of the workforce. 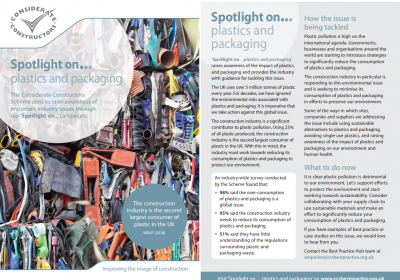 This ‘Spotlight on…’ campaign has already outlined the risks posed by illegal workers, the severe sanctions that can be brought against employers, as well as the consequences for site operations and the wider industry. The campaign has also provided links to useful resources to help sites end illegal working. 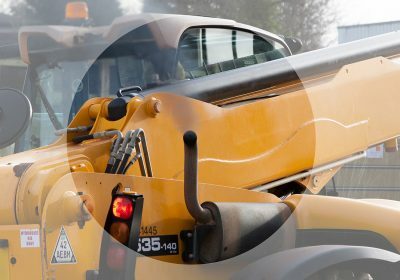 Below is a summary of what you can do to tackle illegal working, drawing on advice provided to the Considerate Constructors Scheme by the Home Office. Full guidance on conducting right to work checks is available in the ‘External resources’ section of this campaign. By conducting the correct right to work checks, as prescribed by the Home Office, an employer gets a defence – called a statutory excuse – against liability for a civil penalty. Retain copies of the documents and note the date on which the check was made. The checks must be undertaken before their employee starts work, and if their immigration permission is time-limited they must check again when the permission comes to an end. Who is responsible for conducting right to work checks? Construction is particularly vulnerable to illegal working due to the fragmentation of the supply chain, leading to uncertainty over who is responsible for ensuring the legitimacy of the workforce. If you, as the employer, are contracting out specific jobs or services to individuals (contractors and sub-contractors), there is no requirement for you to conduct a right to work check because you are not the employer of those individuals. However, there are good reasons for you to establish that a right to work check has been conducted. It can cause disruption to your business operations and reputational damage when illegal workers are apprehended, as well as concerns about whether those workers have the knowledge and skills they said they have, and possible invalidation of your insurance. It is therefore the responsibility of the direct employer to conduct the correct right to work checks. The liable party for any civil penalty is the individual/company/partnership etc. who is identified as employing the worker. The definition of employment under the law states that employment is a ‘contract of service (employment) or apprenticeship’. Therefore the party who engaged the illegal worker in a contract of employment would be liable for a penalty; you would not get multiple liable parties for an individual breach. However, responsible contractors should send pre-contract questionnaires or declarations to their subcontractors to confirm that the subcontractor is ensuring the legitimacy of the workforce. The principal contractor will sometimes ask for copies of employees’ right to work documents (passports, BRPs etc.) and store them securely. The fact that right to work checks are not the direct responsibility of principal contractors does not mean they are immune to the dangers of illegal working. The presence of illegal working on a principal contractor’s site could disrupt the project and severely damage the reputation of the company, curtailing their chances of securing new contracts, as well as having a detrimental effect on the image of the entire industry. 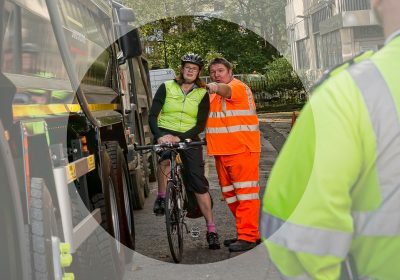 The Considerate Constructors Scheme expects site managers to be able to explain the process involved in checking the legitimacy of their workforce. A full guide to acceptable right to work documents can be found in the ‘External resources’ section of this campaign. Crucially, all construction professionals must be aware that National Insurance Numbers by themselves, and CSCS cards are not evidence of right to work. A National Insurance number (NINo) will not by itself demonstrate a right to work. Not all NINo holders will be allowed to work in the UK and if they can work, they may be subject to conditions. You must check acceptable documents showing the NINo and name of the holder together with one of the combinations specified in the acceptable document lists. A card issued under the Construction Skills Certification Scheme (CSCS) will not demonstrate a right to work. Nor does it confirm whether an immigration check has been undertaken on the individual. 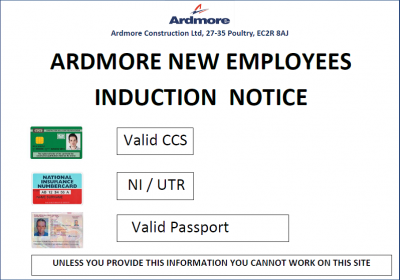 CSCS cards issued since August 2016 carry the statement ‘Cards issued by CSCS do not confirm the holder’s right to work in the UK’. Evidence that someone has had a criminal record check conducted by the Government’s Disclosure and Barring Service (DBS) is also not adequate evidence of right to work. DBS and right to work are different issues and should be checked separately. One form of right to work documentation is a Biometric Residence Permit (BRP). The BRP is a secure immigration document. It provides a simple and secure means to conduct a right to work check. If you think someone should hold a BRP, ask to see it. The Home Office has issued more than 3 million BRPs since 2008. Since August 2015, this is the only document issued to all applicants who are granted leave of more than 6 months. Having a NINo does not mean someone has the right to work in the UK. The Home Office and Department of Work and Pensions are aligning the issuing processes for a BRP and NINo so that non-European Economic Area nationals with permission to work in the UK will have their NINo printed on their BRP. On larger sites of longer duration, contractors should ask subcontractors to check that the right to work information they hold is still current. Many workers have time-limited eligibility to work in the UK and employers are required to carry out follow up checks at the end of the worker’s period of leave. If the Home Office identifies a worker whose right to work has expired, employers face a civil penalty of up to £20,000 per illegal worker, or prosecution if they know or have reasonable cause to believe that the person is not eligible to work. Conducting correct right to work checks and abiding by Home Office guidelines provides an employer with a legal defence (statutory excuse) against liability for a civil penalty. You have not detected a ‘reasonably’ apparent counterfeit document(s). If you tell the Home Office about an illegal worker before they find out and you further co-operate, the size of any penalty will be significantly reduced. If you pay it quickly, it will be further reduced by 30%. To notify the Home Office of illegal workers, you should contact the Home Office helpline on 0300 123 4699. You will receive a unique reference number which will be used in the event you are liable for a civil penalty. The majority of guidance in this campaign is aimed at site management, but operatives must also remain vigilant against illegal working to end this harmful practice. We do not seek to create a climate of suspicion and policing on site, but only ask that all construction professionals be aware of the issue of illegal working. Sites should encourage operatives to raise any concerns they have about illegal workers during the induction process. By implementing an open door policy and conducting toolbox talks on the issue, sites will create an environment where operatives feel comfortable discussing the issue of illegal workers. To notify the Home Office of illegal workers, you should contact the Home Office Sponsorship, Employer and Education helpline on 0300 123 4699 (Monday to Thursday, 9am to 5pm, Friday, 9am to 4:30pm). You will receive a unique reference number which will be used in the event you are liable for a civil penalty. If you identify illegal workers or those who do not have a right to work in the UK during the recruitment process, tell the Home Office about them using the ‘report an immigration crime’ mechanism on gov.uk by clicking here. To complement the free support already available, the Home Office has developed an enhanced immigration training service charged at full cost recovery and not for profit. Further enquiries can be made at IECheckingAdviceService@homeoffice.gsi.gov.uk. As well as the information provided above, it is also advised to visit the ‘External resources’ section, which offers guidance and information from other organisations and companies that cover the full spectrum of the topic. The Scheme will continue to update this page as new examples and case studies of how the industry is tackling illegal workers are identified. If you would like to share how your company is addressing this issue, please contact the Scheme by emailing enquiries@ccsbestpractice.org.uk. Berkeley Group presents their new starters with induction forms that support the proper right to work checks and help identify any illegitimate employability details. To find out more, click here. Crossrail Limited outlines their pre-employment checks in place to eliminate illegal working in the industry. For more details, click here. FP McCann introduces their slavery and human trafficking policy statement, outlining a thorough system to confront illegal working. To find out more, click here. Northern Gas Networks explains how its sites are taking a proactive approach to dealing with the issue of illegal workers by making robust checks to verify workers’ legitimacy. For more details, click here. 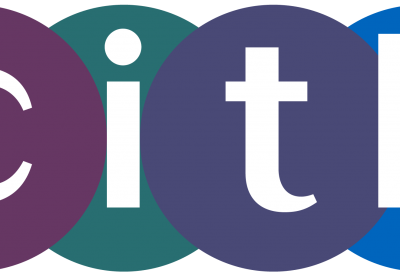 Willmott Dixon outlines how they ensure the correct right to work checks are conducted, and explain their CITB-funded training videos on the issue of illegal workers. To find out more, click here. To watch the videos, click here. Passport Authentication Check Limited (PpAC) provides an overview of their passport authentication checking system, as well as the importance of legitimate right to work checks. To find out more, click here. The Act states employers may be liable for a civil penalty if they employ someone who does not have the right to undertake the work in question. Employers can avoid liability (and obtain a ‘statutory excuse’) by carrying out prescribed document checks on people before employing them to ensure they are lawfully allowed to work. These checks should be repeated in respect of those who have time-limited permission to work in the UK. The Government’s full guide for employers on preventing illegal working in the UK can be found here. The Act deals with matters relating to slavery, servitude and forced or compulsory labour and human trafficking. Section 54 of the Act requires every commercial organisation carrying on business in the UK, with a total annual turnover of £36m or more, to produce a slavery and human trafficking statement for each financial year of the organisation. This statement must set out the steps the organisation has taken to ensure that slavery and human trafficking is not taking place in their own business and supply chains. For the Government’s practical guide on producing this statement click here. The Act introduces new sanctions on illegal workers and rogue employers, and prevents illegal migrants accessing services. The Immigration Act 2016 was also used to tackle labour market exploitation. It created a new role of Director of Labour Market Enforcement (LME) to bring better strategic focus, priority setting and co-ordination to the enforcement of labour market legislation undertaken by the Employment Agency Standards Inspectorate, National Minimum Wage enforcement and the Gangmasters and Labour Abuse Authority. For the Government’s Immigration Act 2016 fact and FAQ sheet click here. The Government has implemented a wide range of measures to remove the economic incentive to come to the UK illegally, and the practical means for illegal migrants to remain here. This includes taking action in the Immigration Acts 2014 and 2016. Provide better co-ordination of labour market regulations and enforcement of workers’ rights. Make it easier to prosecute employers of illegal workers, with an increased maximum custodial sentence. Close business premises and impose a court compliance order to prevent illegal working. Seize wages resulting from illegal working, as the proceeds of crime. Carrying out a right to work check: a 3-step guide. 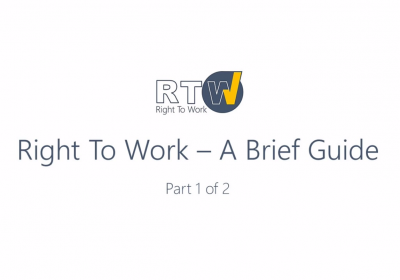 ‘How to make a right to work check’ video. An employer’s guide to right to work checks. Full guidance notes on right to work checks. An employer’s guide to acceptable right to work documents. 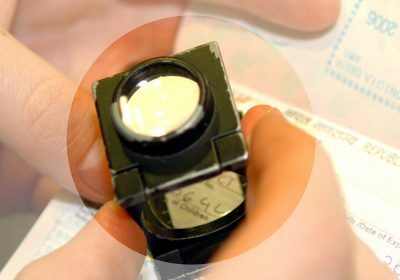 Guidance on examining identity documents and forgery detection (2016). Illegal working Q+A for employers. ‘Demolish slavery in construction’ poster highlights the presence of modern slavery on construction sites. 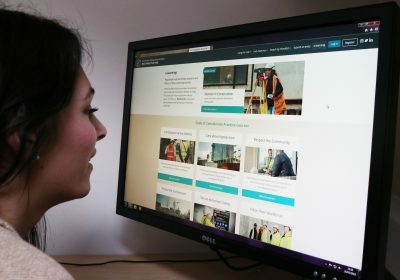 The Home Office is dealing with illegal workers in the construction industry through Operation Magnify – its campaign to stamp out illegal working by targeting specific ‘risk’ industries. Read more here. The Home Office arrested 257 individuals at construction sites in October 2015 as part of the ongoing Operation Magnify campaign. Enforcement operations focused on illegal working in construction sites, visiting 69 sites and businesses as part of Operation Magnify. Find out more information here. 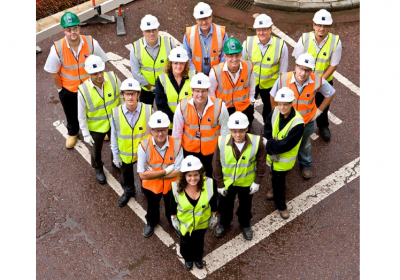 The Considerate Constructors Scheme’s Code of Considerate Practice consists of five sections. 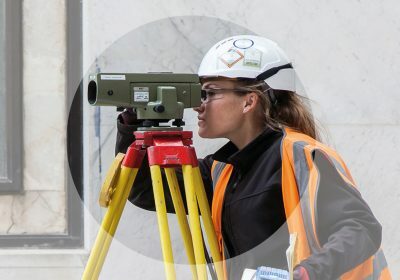 The ‘Value their Workforce’ section emphasises that constructors should provide a supportive and caring working environment and Scheme Monitors assess how well a site ensures the legitimacy of their workforce. 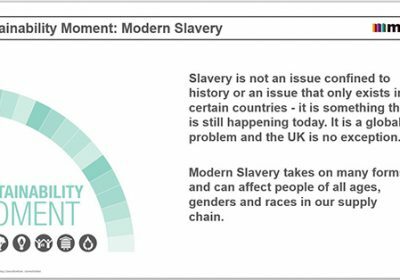 The Chartered Institute of Building (CIOB) has produced a toolkit for tackling modern slavery in construction, in conjunction with Stronger Together (a nationwide initiative that provides training, resources and support for businesses that are looking to better tackle illegal working.) To find out more about the partnership, click here. To view a short film produced by the campaign telling a story of modern slavery, click here. To access the toolkit, click here. The CIOB has produced a study that explores the issue of illegal working, modern slavery and human rights within the construction industry. Modern Slavery: The Dark Side of Construction examines the problems associated with cheap migrant labour workforces through case studies in Abu Dhabi, New York and Qatar. To read this study, click here. CIOB has also written an article focusing on the Government’s recent approach to combating illegal working on construction sites: Operation Magnify. 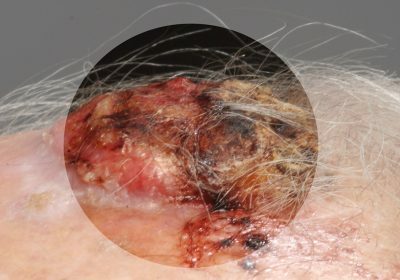 To read this article, click here. An article from October 2016 outlines how Barratt Developments are confronting illegal working and modern slavery through the introduction of a dedicated whistleblower hotline for its workforce. To find out more, click here. The Construction Industry Training Board (CITB) launched a new initiative which challenges modern slavery in the construction industry. A funding programme will help construction firms and the supply chain to identify illegal workers and trafficking activities through a series of right to work training videos, led by Willmott Dixon. To find out more, click here. 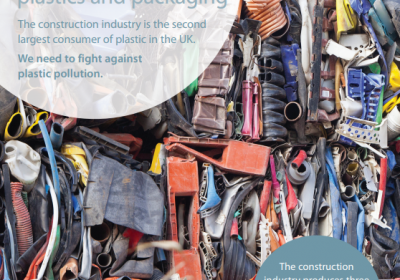 The Construction Industry Council (CIC) is the representative forum for the professional bodies, research organisations and specialist business associations in the construction industry. CIC outlines the Immigration Act 2016’s illegal working provisions and provides links to the legislation and illegal working penalties in this article. The National Building Specification (NBS) has produced an article which explores the issue of illegal workers in construction: Human trafficking, Operation Magnify, and the skills shortage. To read this article, click here. 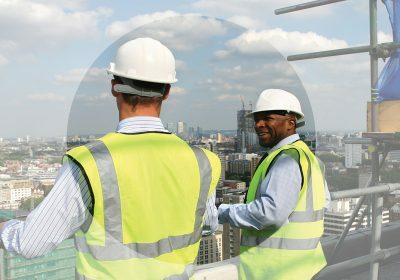 Build UK has issued a guidance note for preventing illegal working in the construction industry. To read this document, click here. 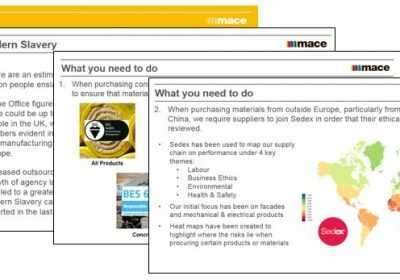 The Supply Chain Sustainability School has produced a guidance document for how companies should map their supply chain to prevent modern slavery in the construction industry: Supply Chain Sustainability Procurement Guidance – How to embed best practice in your procurement when combating modern slavery. To read the guide, click here. Acas (Advisory, Conciliation and Arbitration Service) provides advice on employing migrant workers and keeping employers on the right side of both immigration regulations and employment law. Acas holds regular training events giving a practical introduction to employing people. Visit the Acas Training Courses, Workshops and Projects area for more information and find a list of upcoming events here. Rightcheck is an app-based solution to ensuring compliance with right to work checks. The app validates supporting documentation and securely stores digital copies of said documentation. Read Rightcheck’s outline of right to work compliance here, and find out more about the app here.